The Council of Australian Governments (COAG) meeting of energy Ministers on 10 August, which included Australian Labor Ministers from Victoria and Queensland and the Greens Minister in the Australian Capital Territory, accepted the NEG in its current form, but conditionally due to its weak emissions target. The next hurdle for the federal government was to take the NEG to the Coalition Party room several days later. At this meeting, the Coalition voted to maintain the NEG elements, so it is now up to the federal Minister for Energy, Josh Frydenberg, to gain agreement from the states to progress to the next step of a parliamentary debate on the NEG’s emissions component. To date, Victoria, the ACT and Queensland have demanded changes to the emissions reduction target including only permitting increases, more frequent 3-yearly reviews, and allowing emissions reduction target changes by regulation rather than legislation. These states are committed to higher state targets for renewable energy and may well still bring down the NEG over their demands. As the NEG stands, there are solid reasons why doctors should firmly reject it. 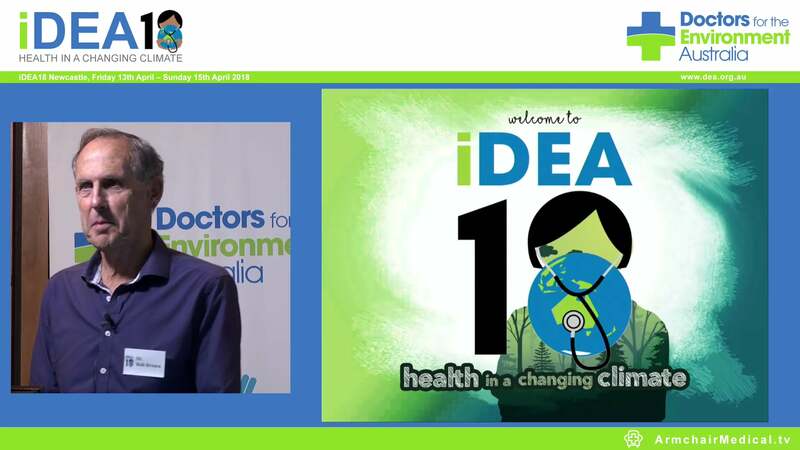 The medical group Doctors for the Environment Australia has written several submissions on this issue, the most recent being directed to the Energy Security Board. The NEG favours coal and gas, with their attendant health risks for humanity. The health risks of coal are unacceptable, with an estimated 3000 early deaths annually in Australia from air pollution (about half from coal mining and combustion), which causes asthma attacks, chronic lung disease, lung cancer, dementia, heart attacks, stroke and low birthweight babies with poor outcomes whose pregnant mothers live downwind from coal-fired power stations. The worldwide toll from coal-fired power generation exceeds 200 000 deaths globally every year. The Lancet estimates that the more damaging fine particulate matter from all sources contributes to over four million deaths annually worldwide. The argument that “clean coal” can mitigate these risks is pure myth. Energy experts say that there is no future in pursuing the misnomer of high efficiency–low emissions electricity generation. The burning of fossil fuels also adds greenhouse gases to the atmosphere which are driving climate change. The Lancet has declared climate change the greatest threat to health this century. Health impacts of higher global temperatures include increasing deaths due to heatstroke in heatwaves, burning in bushfires, drowning in floods and storm surges, injuries in cyclones, infection with warm weather diseases, and suicide in stressed farming communities. Global warming will add to unsustainable land use practices to increase extinction rates, the results of which amount to a huge irreversible experiment in nature which could have disastrous consequences. Meteorologists throughout the world have calculated that extreme weather events will only increase with uncontrolled global warming (here, and here). We are already experiencing the effects. The past weeks have seen New South Wales and parts of Queensland suffering devastating drought, while in the former, the fire season has been brought forward by 2 months. We have also seen deaths from unprecedented heatwaves across the northern hemisphere, from wildfires in the United States, Greece, Sweden and Portugal and from major flooding and landslides in Japan. At least 74 people have died in a recent heatwave in eastern Canada. 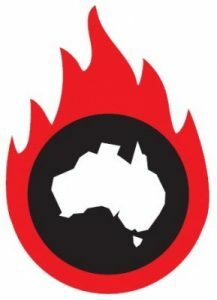 In the 2 weeks preceding the 2009 Black Saturday fires in Victoria, 374 people died as a result of the heatwave, whereas 173 died in the fires. Higher electricity prices, which independent experts predict are likely under the NEG, are a further health hazard by disadvantaging the poor. Rising power prices have been hurting the socially and physically disadvantaged for some years because they cannot afford to heat or cool their dwellings. Admittedly, the NEG recognises the constraints that high electricity prices place on lifestyle, so affordability has been a key aspiration. However, expert and transparent modelling contradicts the claims of cheaper electricity offered by the NEG. The NEG was developed over 8 weeks by the Energy Security Board, itself a hastily developed product of the COAG Energy Council. The Energy Security Board was established on 8 August 2017 “to coordinate the implementation of the reform blueprint” produced by Australia’s Chief Scientist, Alan Finkel. However, when the NEG plan was released on 13 October 2017, Finkel’s proposal of a clean energy target devised after extensive consultation had been dropped. There was no consultation between the Energy Security Board and the COAG Energy Council to whom the Energy Security Board was meant to report. How is the National Energy Guarantee supposed to work? The NEG proposal is extremely complex and contains multiple market mechanisms, financial controls and penalties that are the very antithesis of the federal government’s claimed “free-market” approach. Energy market experts find the proposals bewildering, despite multiple iterations of public interchange over the past 10 months. The NEG is supposed to operate through the energy retailers and modification of the existing National Energy Market arrangements. There are three major retailers vertically integrated with generators (“gentailers”) (AGL, Energy Australia and Origin), and many smaller ones. Some are also generators, others just retailers. Reliability – essentially no or very few failures of supply (most failures are due to transmission breakdowns, not supply limitations, although coal-fired power often “trips” in hot weather). For supply, the target of 99.99% reliability has been met for the past 2 years. Dispatchability – energy can be provided rapidly in response to requests from the operator (AEMO [Australian Energy Market Operator]). This is misleadingly named as “baseload” by some. Emissions reduction target – 26% of 2005 emissions levels for electricity only to be set by federal legislation. Retailers must purchase power from the generators in a balance that allows the above three outcomes to be met. The claim that electricity prices will fall is disputed by independent experts. Australia’s total emissions are likely to remain at an unacceptably high level and even increase. High emissions will contribute to worsening health in Australia and globally. Much now depends on discussions between the federal and state energy ministers, and subsequent debate in federal parliament on emissions reduction targets. The NEG’s emissions reduction target does need to be much more ambitious than 26% on 2005 levels by 2030 for electricity emissions alone. These represent only about one-third of Australia’s total carbon emissions and are already falling due to changing patterns of use, demand management, and increasing uptake of renewables – wind, and domestic, commercial and large scale solar. This renewable energy growth is increasingly associated with battery, concentrated solar thermal and pumped hydroelectric storage to increase dispatchability. The other two-thirds of Australia’s emissions arise from industry, transport and agriculture and are increasing, especially from transport, which is also an important source of particulate and carcinogen pollution. It is much cheaper and easier to reduce emissions in electricity generation. This should happen before tackling the other sectors, for which the federal government has no current plans. Arguments that our emissions are insignificant discourage the global participation that is required to effectively reduce planetary emissions. Australia cannot rely on others to carry its burden. Australia is part of the global community, in which all countries have an obligation to contribute. We must also not forget that we are a signatory to the Paris Agreement that aims to keep the global temperature rise this century below 2°C. Humanity is facing severe threats to the health of all biological systems posed by coal and gas pollution, uncontrolled greenhouse gas emissions and consequent global warming and climate change. Attempting to avert the health risks is a massive exercise in preventive medicine which we as doctors, who are at the forefront of health care, are compelled to speak out about. The Doctors for the Environment Australia website contains fact sheets, submissions and other relevant information. Dr John Iser is a retired gastroenterologist and is Chair of the Victorian Committee of Doctors for the Environment Australia. He has a long-standing interest in protecting health from environmental damage. Dr Chris Juttner MBBS, BMedSci, FRACP is a clinical haematologist who has worked in academia and biotechnology in Australia, London, San Francisco and Europe, primarily in bone marrow transplantation, stem cell research and gene therapy. Both are members of the Health and Energy Subcommittee of Doctors for the Environment Australia. The statements or opinions expressed in this article reflect the views of the authors and do not represent the official policy of the AMA, the MJA or MJA InSight unless that is so stated.